First established as a motel in 1974, Victoria Lodge has a history of providing comfortable and stylish accommodation in central Rotorua with friendly staff and great facilities. 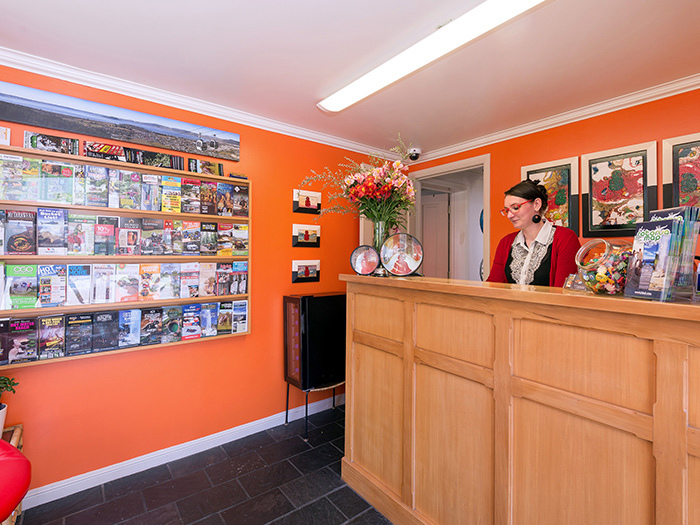 The four-star motel was refurbished in 2010 and is a regular feature in travel guides including Lonely Planet, as well as previously being awarded a Certificate of Excellence from online review site Trip Advisor. The lodge is also a member of the Rotorua Association of Motels. 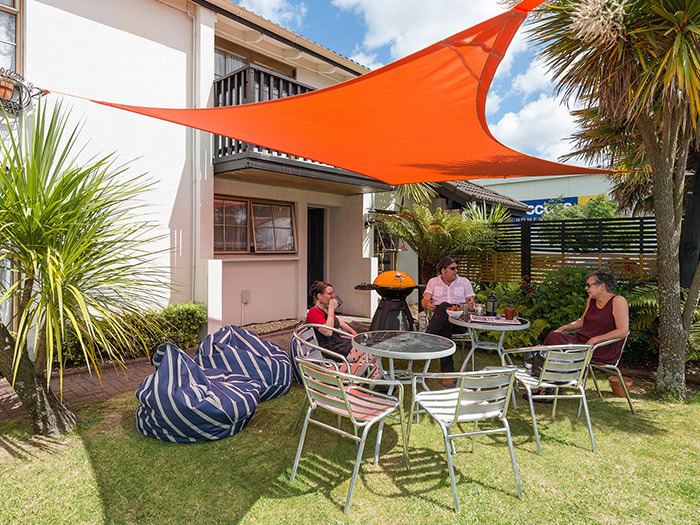 Victoria Lodge has a mix of comfortable studio rooms and self-contained accommodation in Rotorua suitable as family accommodation or for business travellers. Pets are also welcome in some designated rooms. Contact us today to reserve your room at our centrally located, quiet accommodation in Rotorua, NZ. Excellent services including free unlimited ultrafast wifi, hot pools, spa baths and use of BBQs. As well as comfortable, well-appointed rooms, Victoria Lodge offers a range of extras that will make your stay all the more enjoyable. All our studio rooms have their own outdoor hot pools so you can enjoy a relaxing soak at the end of a busy day of sightseeing or business meetings. In the evenings kick back and relax with more than 50 Sky TV channels to choose from on your high definition television. If you are staying with us on a business trip, or just want to keep in touch with family back home take advantage of our free ultra-fast wifi, which is available in each room. Cooked and continental breakfasts help you get the day off to the right start while in the evenings you can take the short walk into Rotorua to enjoy a restaurant meal or use our bbq to cook for family and friends. Victoria Lodge has 13 rooms offering a range of accommodation and is one of the few Rotorua motels and hotels that can accommodate large groups together. For more spacious family accommodation in Rotorua opt for one of our two level apartments which have two bedrooms and can sleep up to five people plus two in a sofa bed. These apartments also have a fully equipped kitchen making them ideal for families or groups of friends who want the flexibility of being able to cook meals. The studio rooms sleep up to three and are perfect for business travellers, couples or small families who are looking for affordable accommodation in Rotorua. All rooms are equipped with televisions as well as tea and coffee making facilities and utensils. Apartments include full kitchen facilities. Whether you are staying for business or pleasure, the team at Victoria Lodge aim to make your stay as relaxing and enjoyable as possible. From our comfortable NZ holiday apartments to our wide range of services and friendly staff, you won't regret booking Victoria Lodge as your holiday accommodation in Rotorua. If you need help finding a restaurant or an activity, our staff can assist with the local knowledge of the Rotorua area and we can also arrange discounts on entry for several local attractions. Don't forget that we are one of the dog friendly motels in Rotorua so your furry friends can enjoy a break too. Site Map | Links to other quality businesses.